It's no surprise that Footscray is so hot right now. Franco Cozzo's beloved Italian furniture shop is still doing a roaring trade, but cool and interesting bars and restaurants like Mr West, Harley & Rose, Back Alley Sally's and Burn City Smokers are opening their doors in the western suburbs, to great acclaim. But Footscray has a long history as a working-class, multicultural suburb, a place close to the city that embraced Melbourne's waves of new migrants. The questions for Footscray residents, business owners, artists and athletes are: how is the suburb changing? How should it change? What can be done to keep housing affordable while still encouraging entrepreneurship and new business? How can new hospitality venues fit in with the character of the suburb without changing it? 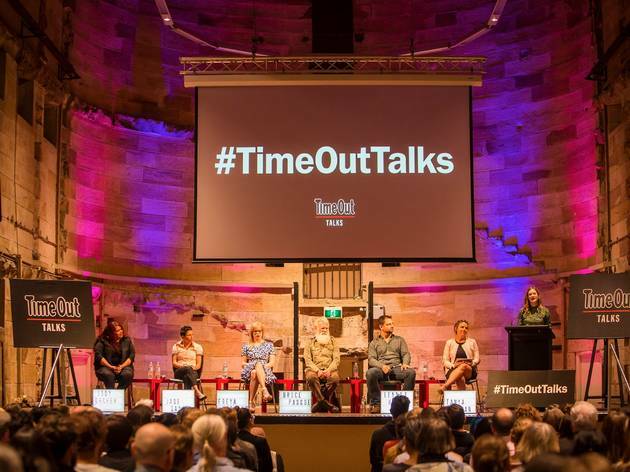 A panel of experts who live, work and play in the western suburbs will address these questions and more in a Time Out Talk in conjunction with the Footscray Community Arts Centre on the gentrification of Footscray. Santilla Chingaipe: An award-winning journalist and filmmaker, Santilla Chingaipe has worked for SBS for more than a decade. She has written a documentary for SBS, Date My Race, about racial preferences in the world of dating, as well as short documentary Black As Me, about artist Atong Atem's experience growing up black in Australia. Steve Kimonides: Barbecue specialist Steve Kimonides lives in Footscray and has chosen the next-door suburb of Kingsville as the site for Burn City Test Kitchen. Kimonides was sommelier at Il Bacaro restaurant in Melbourne before turning his passion for barbecue into his career. Alan Pert: Professor Alan Pert is head of the Melbourne School of Design and an acclaimed architect. Pert is also a partner in the 'Invisible College' project, funded by the Asylum Seeker Resource Centre. The project brings together academics, policy-makers, artists and local people to tackle issues of regeneration, conservation and education. Izzy Huntington: Western Bulldogs superstar Izzy Huntington suffered a severe knee injury during a game against the Lions this year, but she is still pursuing her AFLW dream. The 19-year-old wants to pursue a career in medicine and is balancing her studies with footy. Karen Jackson: Yorta Yorta woman Karen Jackson is director of the Moondani Balluk Indigenous Academic Unit at Victoria University and is an advocate for culturally safe spaces that enable Aboriginal people to aspire to personal, family and community goals; land rights and the recognition of Sovereign Peoples; and the delivery of relevant educational programs by Aboriginal people for Aboriginal people. Sonia Nair (moderator): Writer and critic Sonia Nair is the general manager of human rights media organisation Right Now. She has written for Kill Your Darlings, The Big Issue, Eureka Street and The Lifted Brow, among others, and she has participated in events with the Melbourne Writers Festival and the Emerging Writers Festival. Food will be available from Just Like Nonna's, a Sicilian food truck based out of Yarraville. Expect Italian favourites like arrancini (beef and vegetarian), fried mozzerella sticks, calzone, panini and eggplant parmagiana. For the sweet tooths there will be cannoli in vanilla, chocolate and sweet ricotta with pistachios. 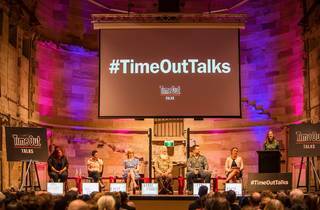 You can buy tickets at the booking links above and below, and if you wish you can submit a question to the panel at time of checkout.